Our customers look to us as experts on the topic of office equipment. So, it’s not uncommon to be asked, “What’s the best printer [or copier, or all-in-one] for our small business?”. Naturally, one should expect the answer to this questions depends on a variety of factors. For example, what exactly are the business needs? How many users will share the device? How much print volume will flow through the machine? Stone’s Office Equipment is one of the leading Lexmark dealers in central Virginia. Here we share our three most popular Lexmark models. These models are popular because they serve critical business functions, are efficient in their respective categories, and are reliable output devices. Each of these three models differ considerably, and the right one for your business depends on the features that will serve your organization the best. The M3150 is the daily workhorse of many small offices. It can print up to 50 crisp black and white pages per minute. The monotone laser printer has a high capacity toner cartridge capable of delivering up to 7500 prints per cartridge, so you can minimize downtime and reorders. The M3150 a medium capacity network printer capable of printing from all desktop and most mobile devices. It even has a USB drive, so users can print directly from portable storage devices. Navigating through the printer’s functions is simple and easy with the 4.3-inch color touchscreen. The XM3150 is one of the most feature-packed all-in-one multifunction printers (MFP). It is capable of printing, copying, scanning, faxing, and emailing. Like the M3150, the XM3150 has a print output up to 50 pages per minute, and the XM3150 is capable of printing from desktop and mobile devices. It includes a 7-inch color touchscreen for simple operation. 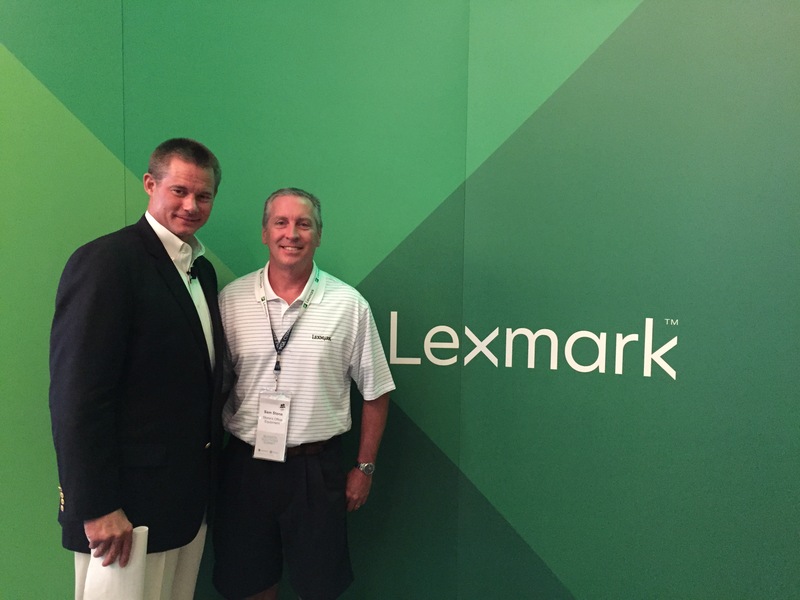 Lexmark has shown strength with respect to device security. The XM3150 includes a host of enterprise-level security options and settings built into every MFP. The XM7155 is built for top performance. It is capable of outputting up to 70 pages per minute, and has an input capacity of up to 2300 sheets. This maximizes output, and minimizes time spent refilling paper. Productivity is improved with features like scanning 2-sided documents in a single pass. Several finishing options are available too, such as stapling, offset stacking, and hole punching. 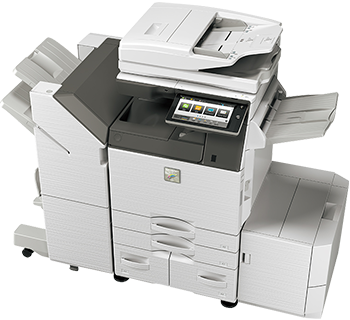 Like other Lexmark models, the XM7155 is also capable of printing from desktop and mobile devices. To ease operation, the XM7155 includes a huge 10-inch color touchscreen. Each of these Lexmark models output in black only. If your office requires color printing options, contact us to discuss your options. Features and cost can vary widely for full-color devices, and some devices are very expensive to operate. We can help you fully understand your device choices as well as the considerations such as output capacity, color quality, and cost per print. If you’re like many of our clients, you’re always looking for ways to reduce costs while also looking for ways to reduce your environmental impact. At Stone’s Office Equipment, we support a variety of green initiatives for our clients – from reduced energy consumption, to reducing paper usage, to reducing waste. Many law firms and medical practices focus on improving document management processes when looking to reduce paper, and we have a variety of document management solutions to improve workflow and speed up document retrieval. However, one of the simplest green initiatives does not require any complex hardware or software. Simply start using high quality remanufactured cartridges in all of your printers, copiers, and multifunction printing machines. Remanufactured cartridges have a 44% smaller total environmental footprint vs. the national brand equivalent. And over 80% of businesses in a survey reported that remanufactured cartridges met or exceeded the performance of national brands. If you’re looking for new ways to go green and save money, consider switching to high quality remanufactured cartridges. These cartridges are available for most models of each of the leading brands of printers, copiers and multifunction printers. 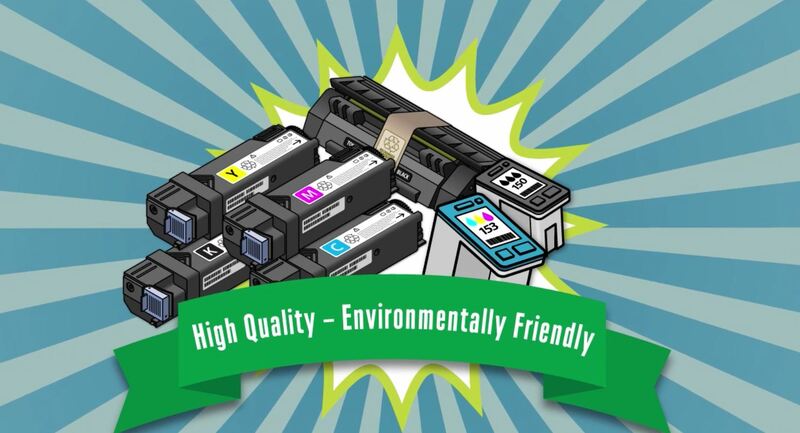 Contact us to start helping the environment while saving money with remanufactured cartridges. I attended a Business Solution Summit hosted by Lexmark in Milwaukee, WI and was surprised by the stats given on data breaches within corporate America. It seems every time you listen to the radio, television or any news outlet, you hear about hackers, data breaches, cyber security, etc… In fact, every evening driving home I hear at least 3 commercials advertising “protecting your identity”. Never before has our country become so hostage to others looking to profit off of our vulnerability (and possibly innocence). For those who believe all you need to do is protect your Social Security Number and nothing bad will happen should think again. The terms, Hacker, BOTS, Phishing, Social Engineering refers to outsiders and their methods to capture data which could be brought on by a terrorist or even a corporate competitor; however, Open Security Foundation found that 36% of all information leaks occurred from within a company’s own walls…meaning inside your own firewall. As stated above, this could be malicious or completely accidental. What information are the “hackers” phishing for? The answer depends on the “hacker” and the sources they have to draw upon – it could be large like Home Depot, Target, Anthem, IRS or a small business. Here in Richmond, VA we spoke to a client who had their information “hijacked” because someone innocently clicked a link or zip file attached to an email. Before you discount this and say, “I would never do that.”; or, “everyone in my office knows not to do that.” Think. This is how these people make their money and like everyone else in business, the better you are at your job the more you make. Some hackers might make a simple or sloppy attack plan and snag a few; and some take a little more time and make something look so authentic it fools even those who are on the lookout for scams. The client I’m speaking of was contacted and informed their data was being held ransom and for the price of $5,000 they would release the information. In this case the company chose not to pay and lost their data from the time of their last back-up. Other information “hackers” are phishing for is intellectual property, state records and secrets, financial data, healthcare information or personal identification information, these were the primary drivers behind the Anthem and recent Federal Government breaches. According to one study, it’s not about credit card theft as much as it is about gathering as much information as they can to use. Of course we hear the big numbers like the Target breach – more than 40 million cards and Home Depot was more than 56 million! Bank Accounts used to be top – credit cards on the “dark web” (referred to by the FBI) is dipping and considered to be traded like a commodity. Records with personal information is on the rise, the more information you can collect about individuals, the more valuable. Imagine someone gaining access to not only your personal medical records, but your entire family’s medical records. What about your complete financial portfolio? Bank account information, mortgage information, retirement funds, liens, or, your Legal records? Bankruptcy, devoice, law suits pending. Recently I spoke with two highly regarded owners of IT firms and asked how I can educate my staff to better fend off attacks like these. Their answer was, first start by never clicking on a zip file or any attachment from someone you’re not expecting something from. If you think it may be suspicious, call that individual and ask them if they sent you something. Second, have a good detection plan in place and ready to respond. Third, make sure you back up your data every day and know your data is good by testing the recovery. All of this sounds scary and it should because no one knows how far this will go or the ramifications of it all. What I can tell you is Stone’s Office Equipment will provide your office with equipment to help eliminate some of the potential risks. Isn’t Office Equipment At Risk Of Getting Hacked? A couple of years ago, the CBS news ran a story about copiers having hard drives and how every time a document is copied, scanned or printed the image resides on the hard drive. They were able to “hack” into some of the hard drives and retrieve some pretty sensitive information. Once the story broke, we started getting calls from our customers asking if we knew about this and what measures Stone’s Office Equipment takes to protect their data. I talk more about that later. Copiers and MFP devices featuring a hard drive are wiped at the end of your lease or upon trade in. We’ll even remove the hard drive for customers and give it back to them so they can destroy it themselves. For more information about Security and Vulnerability, give us a call (804) 288-9000. Most people understand the basics of keeping printing costs down. Keep equipment up-to-date, monitor print-related expenses, etc. But, there’s actually another level of print performance and cost savings that most people miss out on. Are you one of them? To really get the most out of your print setup, you need to get a closer look at how your system is running. Stone’s offers a comprehensive approach to managing print performance with Managed Print Services (MPS). What in the world does that mean? Print Visibility refers to the ability to track (watch) how your print setup is being used. This tool allows you to see who is printing what, when they’re printing, on what devices, and more. It also keeps records so you can look back at past activity. With Print Visibility, you’ll be able to see exactly where your printer usage is focused and you’ll be better able to identify opportunities for improvement. Once you’ve used Print Visibility to identify areas of potential improvement, you can use Print Policies to provide additional support. Print Policies are rules that can be set up to limit or alter user behaviors. Limiting the amount of printing for a particular user or specific printer and creating custom on-screen recommendations for printing preferences (such as “Please use both sides of the paper when printing!”). The security of your documents is very important. The more people you have managing documents, the more critical it is to have proper security measures in place. PaperCut provides that security with their Print Security features. With several options and add-ons to choose from, you can add the document and device security that’s just right for your office. Secure virtual printing, Find Me Printing (also known as Push Printing), and watermarking are just a few of the optional security protocols available for your business. Get even more control over your print setup by using Cost Control. This tool allows you to segment activity reports by user, client, department, and more. Take it a step further by implementing print quotas and balances for users and even clients. Set the limits you’d like to stay within and the system will keep you and the users updated about their usage status. You can even add payment gateways to allow payment for more printing if users go over their print limit. User Tools will allow you and all other print users to stay on the same page about print policies, economic impact, costs, and more. This feature also allows for customized control for different users and offers the ability to users to manage documents and their printing on their own devices, at printers, and more. BYOD stands for “Bring Your Own Device” and it’s an umbrella term for several tools that improve the ability of users to print anything, anywhere, anytime. BYOD means ultimate flexibility when printing. The tools include email printing, cloud printing, mobile printing, and internet printing. BYOD even offers the ability to share printing capabilities with visitors! Does PaperCut Replace Managed Print Services? A lot of features, right? Does that mean PaperCut can stand in place of a full-service MPS program? No…When it comes to managing print performance and costs, there’s no question that Managed Print Services are the most effective way to go. But, in some cases PaperCut can offer a great way to get started in the right direction or even work alongside a comprehensive MPS program. For more information on either service, contact Stone’s Office Equipment today. If you buy the best printer, you should get the best printing performance possible, right? The short answer is “Yes–that’s right.” But, the complete answer is “No–not necessarily!” That’s because there’s a lot more that goes into your printing process than just your printer. 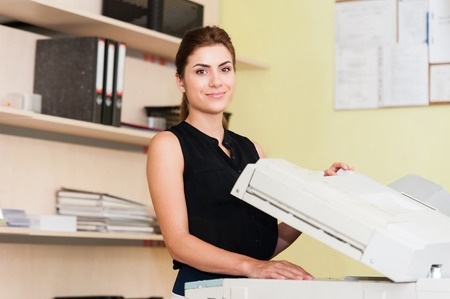 Your office workflow involves many hidden costs that aren’t obviously connected to the costs of printing, but have a significant impact on the amount you end up paying. Add in the additional costs of printer parts and repairs, and that top-of-the-line printer you have may not go as far as you think it does. So, how can you be sure you’re office is operating as efficiently as possible? It’s not too difficult to find a machine that delivers these requirements. The question to ask yourself though, is which of those features are integral to your job and workflow? Buying a printer with all the bells and whistles does not necessarily make it the best fit for your needs. If your office demands don’t require all the available features then it may be more cost-effective to choose the “inferior” model. The same can be said for the products you use to keep your printing process operating at its best. The ink you use, the paper products you buy, the toners, cartridges, and all other products you use will have an impact on how well your system works for you. You might think that each of these factors are too small to make any real impact on your productivity or costs. But they do! Especially over a long period of time, each of those factors, plus more, can cost you many hours of productivity and lots of money to maintain the system. All machines have a “life expectancy”. Just the same as it’s true that if you treat and feed yourself well then your life expectancy will increase. But, if you treat yourself poorly and don’t feed yourself well, your life expectancy will not only decrease, but you’ll also end up putting more effort into maintaining your health and trying to correct issues that have developed because of poor practices. The same thing rings true for your printer and copier equipment. The better you take care of your equipment, the longer you can expect it to last and the less you will pay for printer and copier repairs along the way. Choosing the right equipment and products to use for printing and copying are just a couple ways to improve the efficiency and decrease the costs in your office. With the help of a trained expert, you can uncover dozens of ways to improve workflow productivity and drive down your printing costs. The best news is that you can get a completely Free Analysis of your office’s workflow. From top to bottom, the experts from Stone’s Office Equipment will work with you to configure the best system setup for you and your company. Document management services don’t just aim to improve how documents are handled around your office, they aim to provide you with more peace of mind, better productivity and happier employees around the office. There are even IT services available to handle equipment servicing. Instead of guessing when you’ll need more ink, paper, and other items–or even worse, running out–let the Stone’s Office Equipment professionals handle your equipment fulfillment and maintenance using an incredibly precise inventory tracking system. Never experience downtimes again, no matter what manufacturer and product lines you use. Unleash your office’s potential, beyond your local IT network, by utilizing mobile printing capabilities. Wireless printing, Mobile printing from phones and tablets, device usage tracking are just a few of the features you can leverage with mobile printing solutions. Don’t limit the productivity of your office. Add mobile printing solutions and watch productivity grow. Managed print services are great for companies of all sizes and with all types of office configurations. It’s important that if you’re considering using an MPS provider, that you use a company you can trust. The CompTIA Trustmark proves that Stone’s Office Equipment is not only a company you can trust with MPS, but they are among the most well-trained professionals who offer this service. Get More Out Of Your Printers And Copiers Today! It doesn’t really matter what size your office is or how your staff operates. Chances are good that you could benefit from an office workflow analysis to figure out how well your office is operating. You’ll highlight areas to improve your productivity and ways to spend less money on supplies, repairs, and other financial black holes. For more information on improving your office productivity and workflow, contact Stone’s Office Equipment at 804-288-9000. How Can Color Printing Benefit Your Business? Recent studies have shown multiple benefits to using color for business printing. 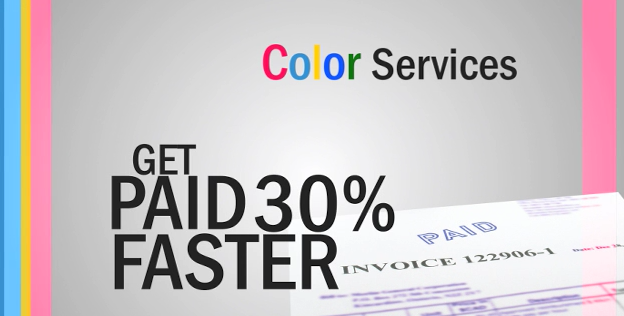 For example, invoices printed in color get paid 30% faster. In other applications, information highlighted in color can be located 70% faster. Many businesses have been reluctant to invest in color printing because there is a perception that color printing is significantly more expensive than black and white printing. While color printing was considerably more expensive in the past, that is not necessarily the case today. To complicate the consideration of cost, there are often hidden costs associated with office equipment. If you’re using an outdated machine that needs constant maintenance and repair, it could be costing significantly more than a modern color machine. Consider requesting a free workflow analysis to identify if inefficiencies exist in your office network. Stone’s Office Equipment has been serving business in central Virginia for over 45 years. We’ve earned the “Elite Dealer” recognition award from top office equipment manufactures and industry experts like Panasonic, IBM, Lexmark, Sharp and Office Dealer Magazine. Contact us for assistance or guidance with your office equipment.